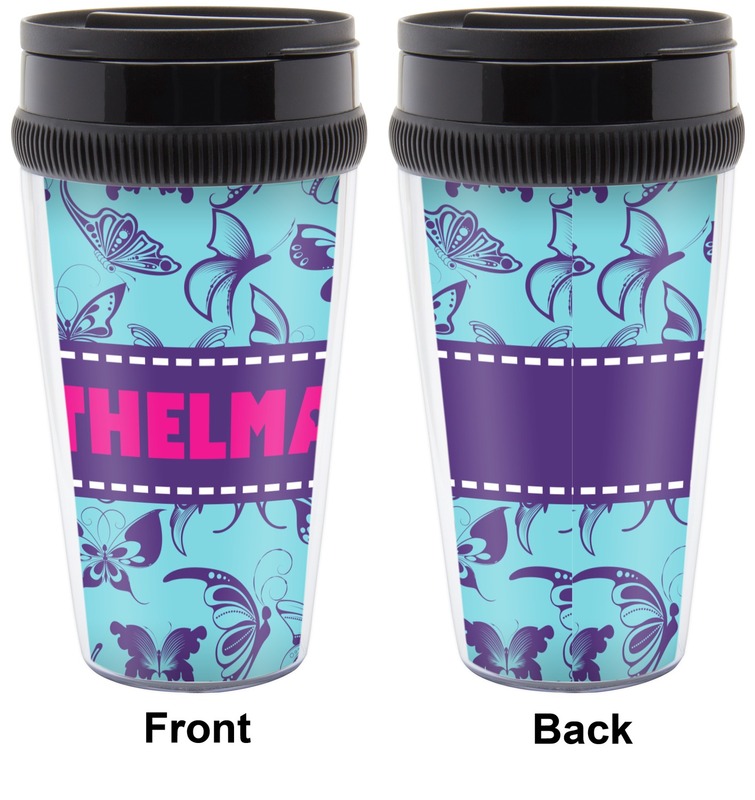 Our travel mugs are perfect for anyone who is on the go all the time AND wants to drink from a stylish personalized travel mug! 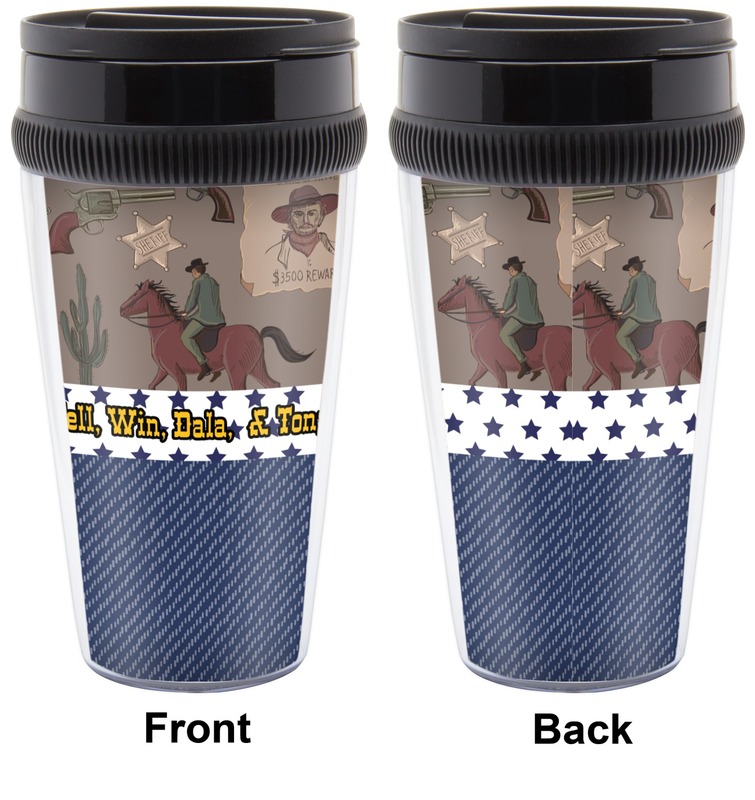 These 16 oz travel mugs are insulated to keep your drinks hot or cold. 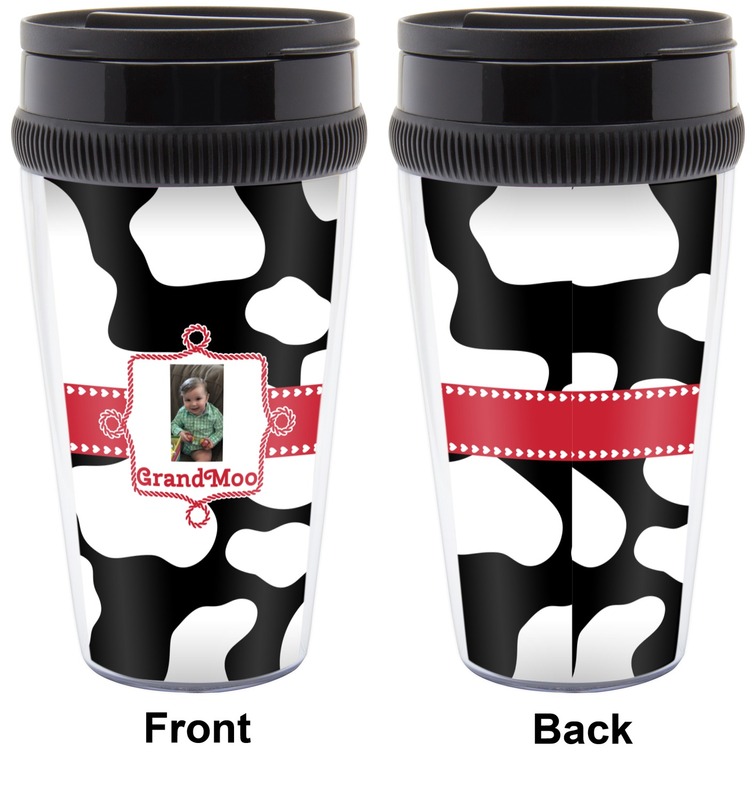 They have an easy snap on lid with a sippy slider to reduce spills and help maintain the temperature of your drink. 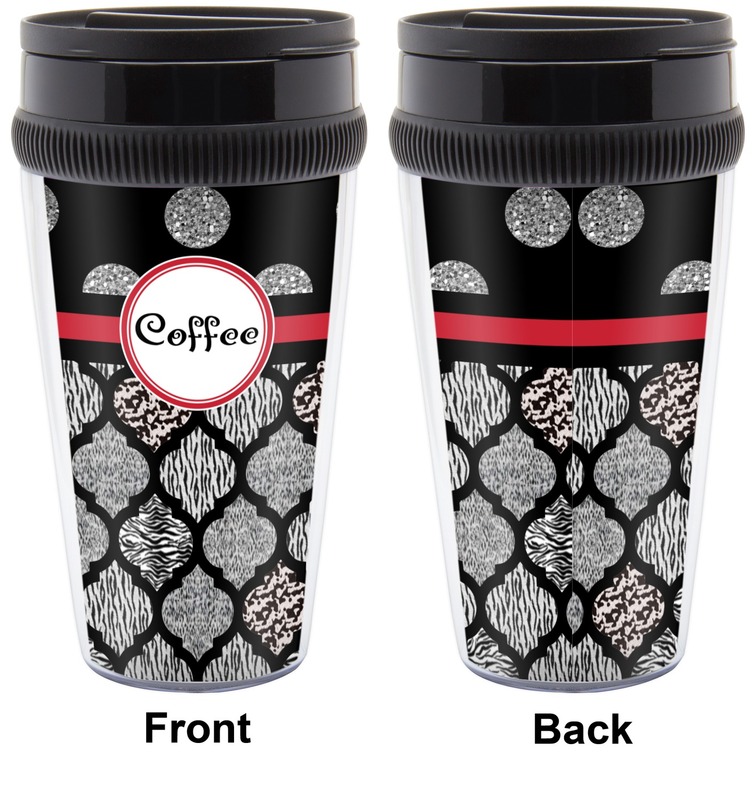 These travel mugs have a black lid and a black interior. 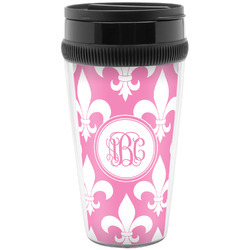 The exterior is stylish and available in many different designs, patterns and colors. I love my travel mug. 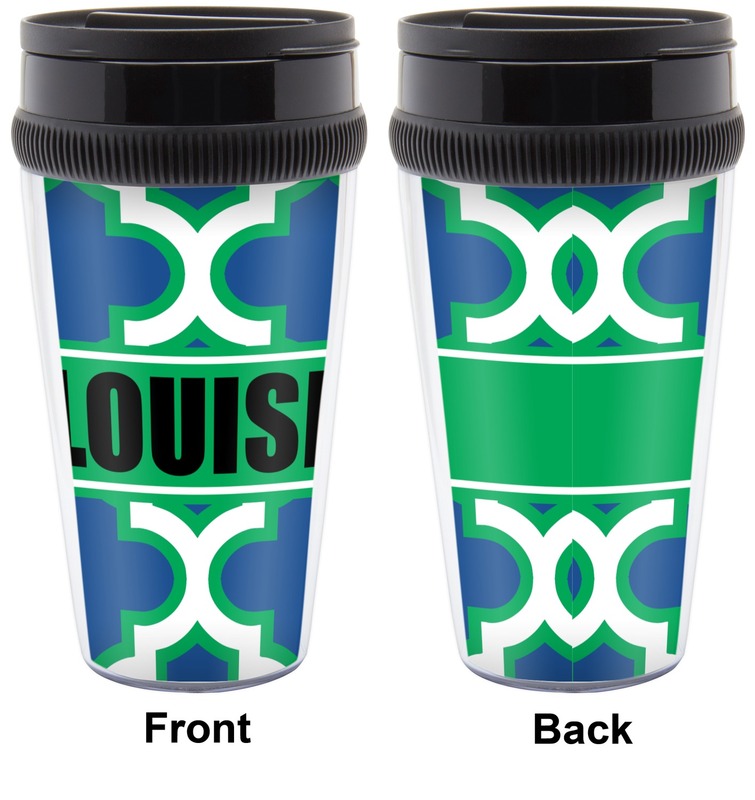 It was a lot of fun designing my mug and customizing it to my needs to make it personal. 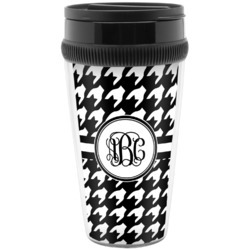 I've already purchased large stainless tumblers last year that I customized for each of my friends so I knew I would also love the travel mug. There are so many fun options to choose from that you can find anything to suit your needs. The mug is also a great design. 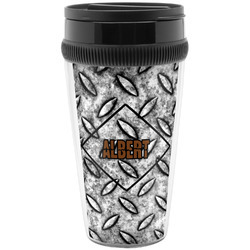 It keeps my coffee nice and warm, easy to hold and I really like how easy and convenient it is to open and close the opening by just toggling the lever.